Hugh Wilford is Professor of U.S. History at California State University, Long Beach. He is author of, among other books, The Mighty Wurlitzer: How the CIA Played America (Harvard University Press, 2008), a history of covert CIA funding of apparently private American citizen groups in the Cold War. 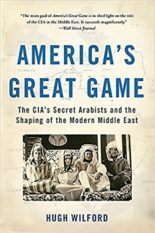 His most recent book, America’s Great Game: The CIA’s Secret Arabists and the Shaping of the Modern Middle East (Basic Books, 2013), tells the surprising story of a pro-Arab, anti-Zionist group of CIA officers who blazed the intelligence trail for the United States in the Cold War Middle East. It was a New York Times Book Review Editors’ Choice and won the Washington Institute Gold Medal Book Prize, 2014. The major Hollywood production company Josephson Entertainment recently acquired TV rights. 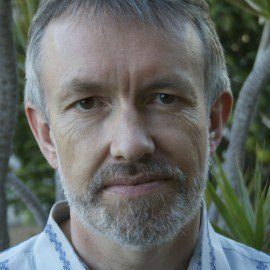 Hugh is currently at work on a general history of the CIA for The Great Courses, the prestigious U.S. series of video lectures.